Waben Home Care, Inc. is a leading provider of non-medical home care services for seniors and people with disabilities. Our services are aimed to improve the over-all health and well-being of our clients. Our commitment and dedication to providing such services are unparalleled. Experience one day of care from our team and you will definitely know that you are in good hands. Our team of caregivers are equipped with the right set of skills to provide home care to the elderly and disabled individuals. From meal preparation to doing the laundry, we have it covered to ensure that our clients receive utmost comfort. 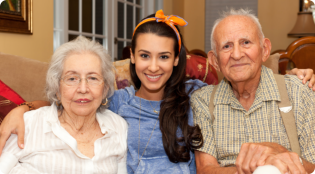 Waben Home Care, Inc. is committed to providing just the best quality care and companionship to your loved ones. If you are in need of professional care that promotes compassion and warmth in their service, call 215-941-6422/ 215 941 7538 and inquire about of our services now!